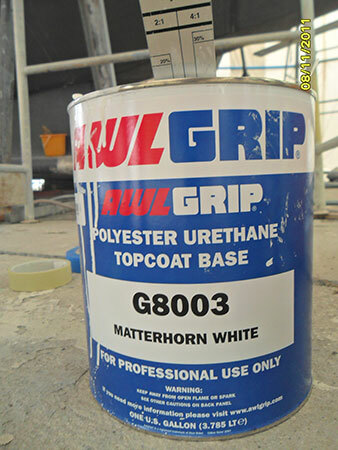 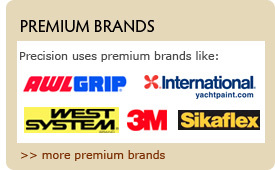 the same roof as Precision. 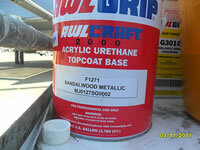 Or go to the website and order online. 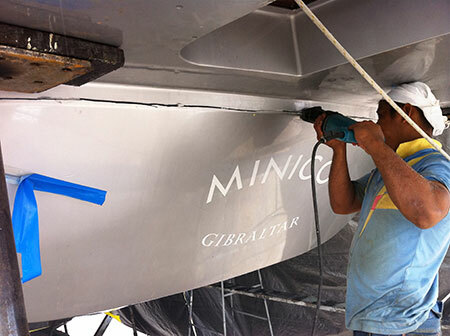 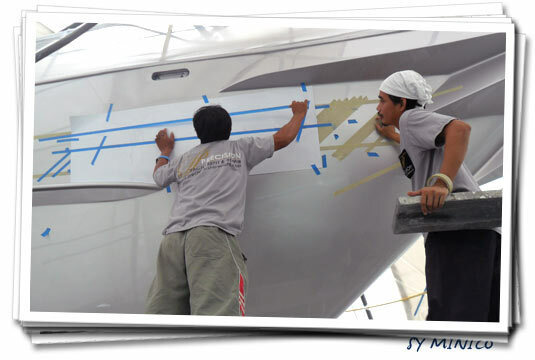 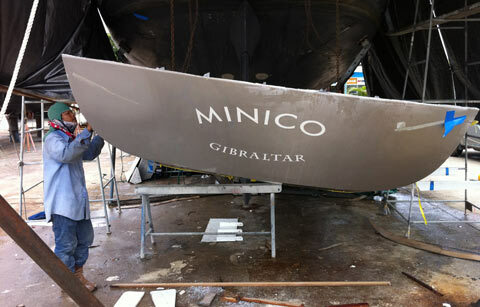 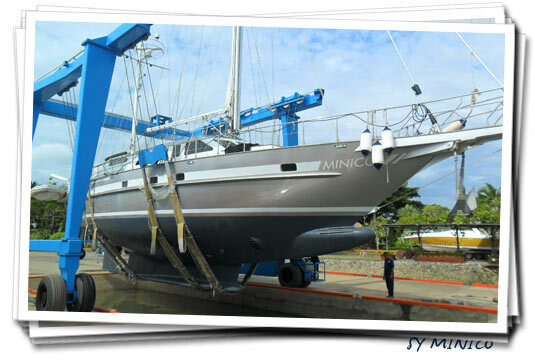 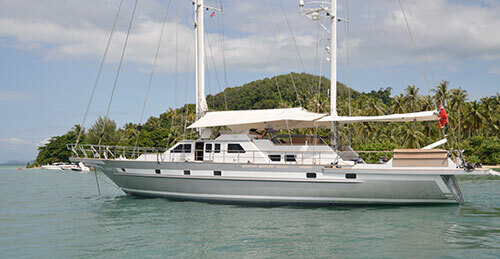 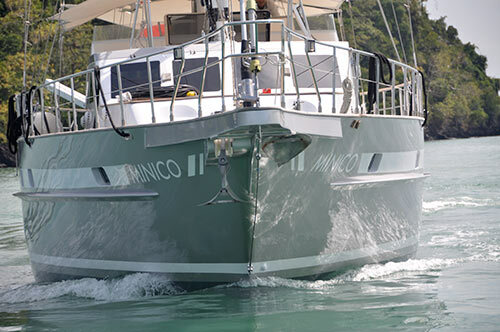 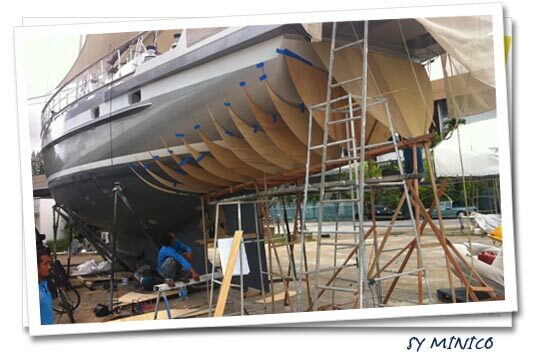 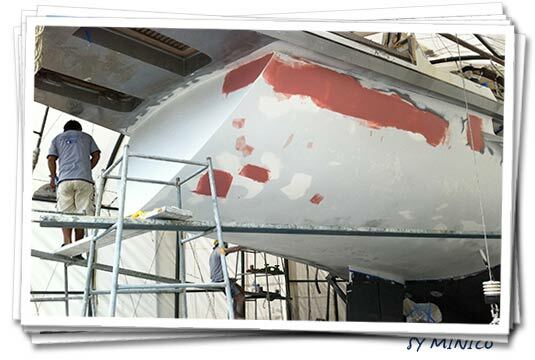 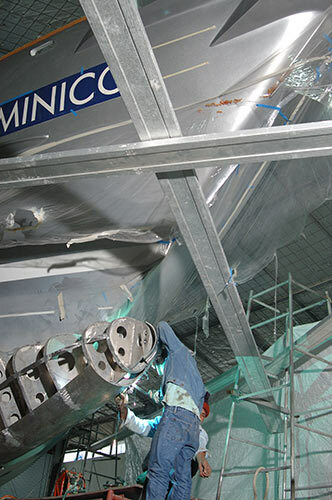 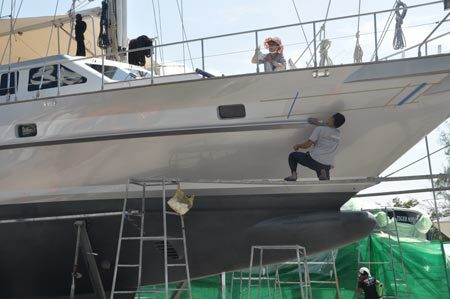 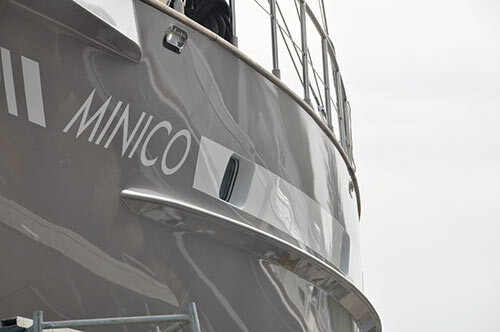 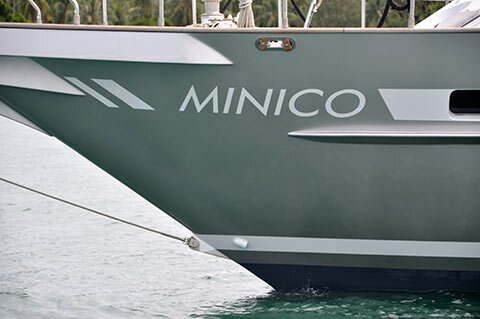 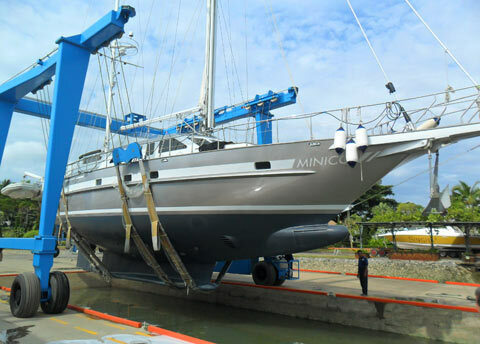 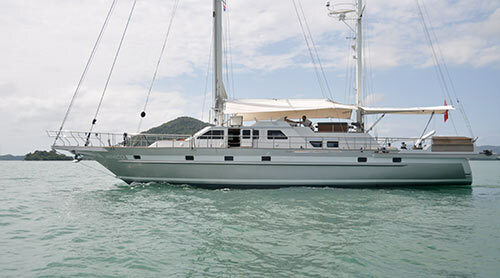 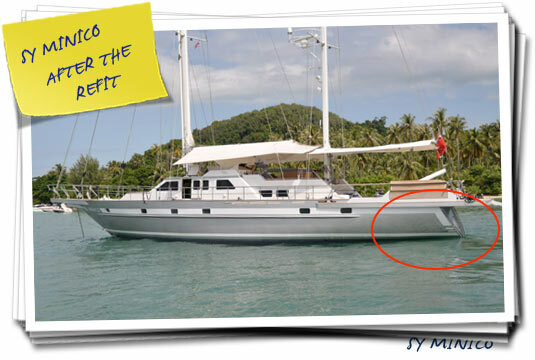 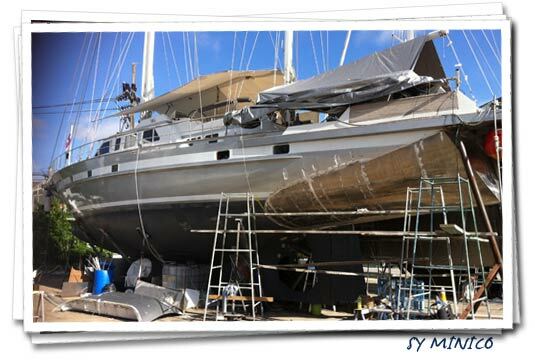 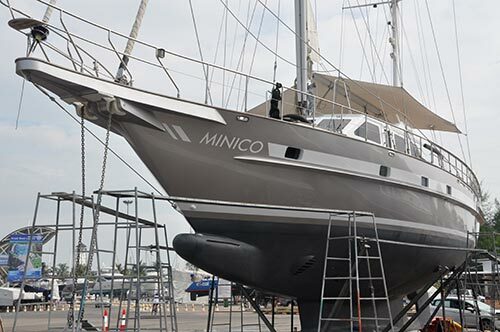 SY Minico first came to Precision in 2005 for a major refit, including interior refit, repaint and an aluminium bulb construction on the bow and an extension of the stern platform. 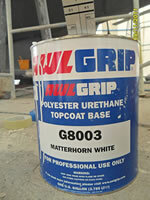 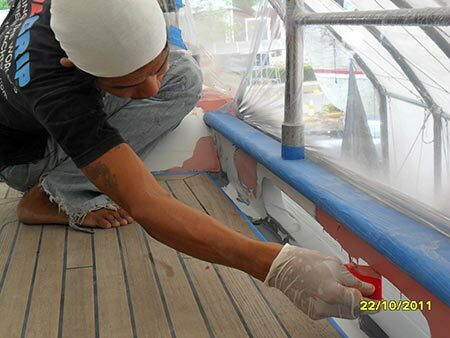 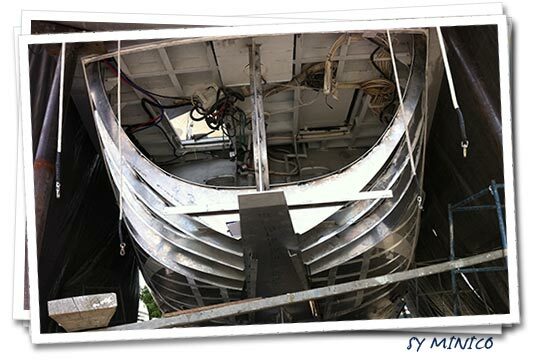 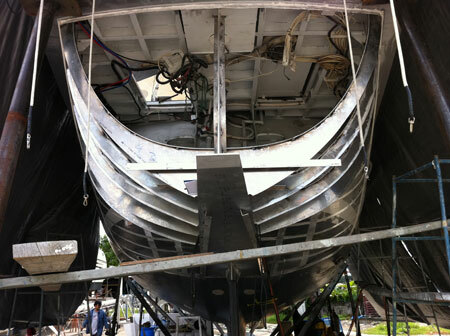 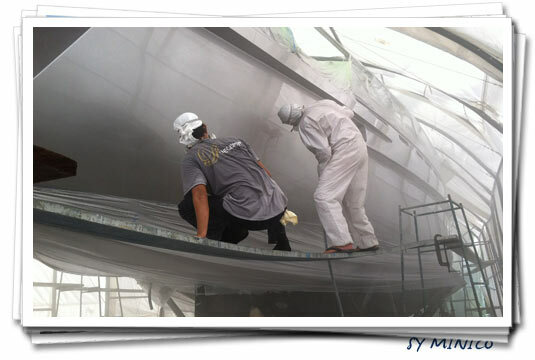 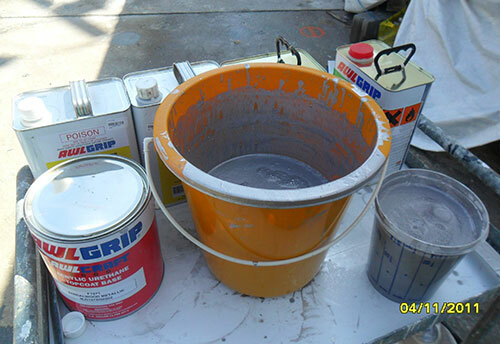 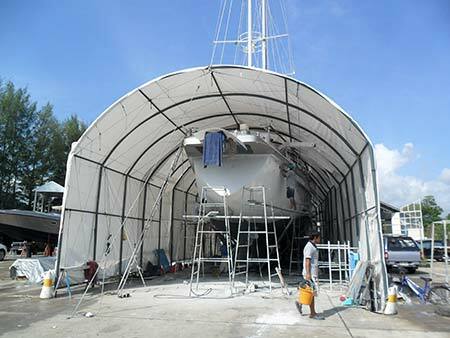 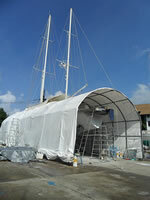 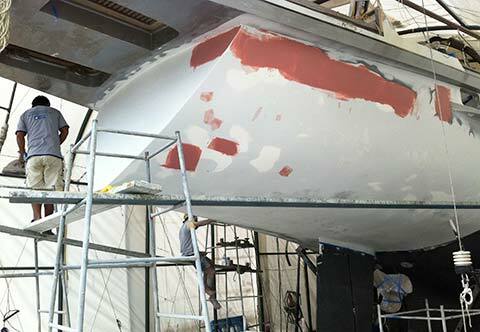 Content with the work, they returned in 2011 for a major reconstruction of the transom, extending the waterline. 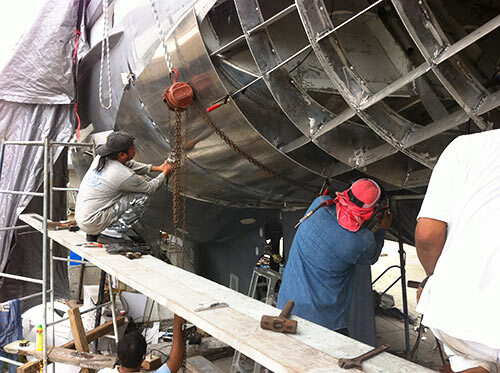 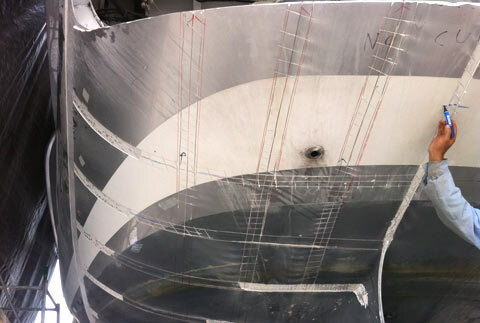 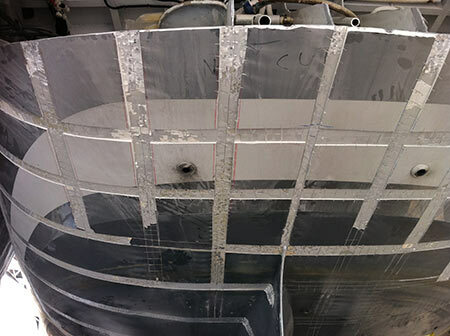 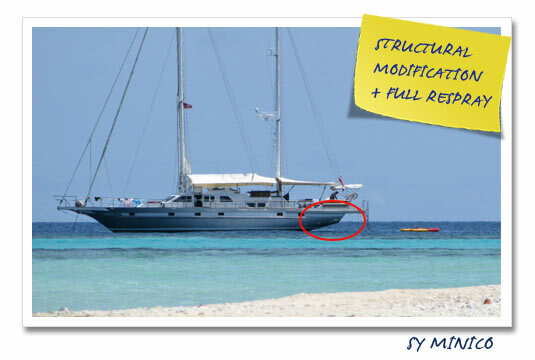 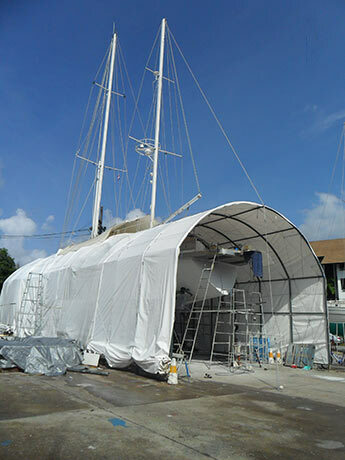 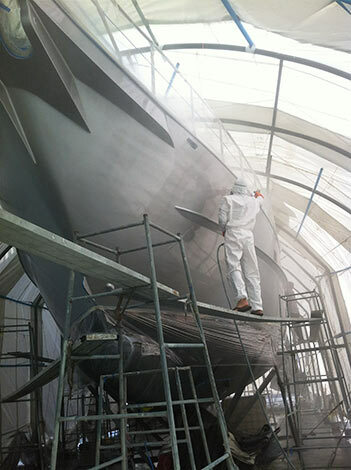 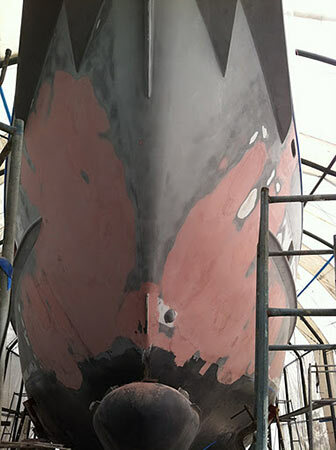 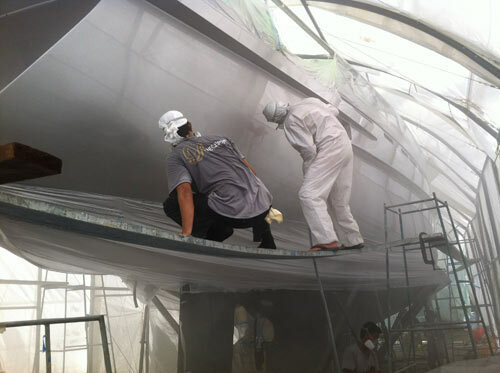 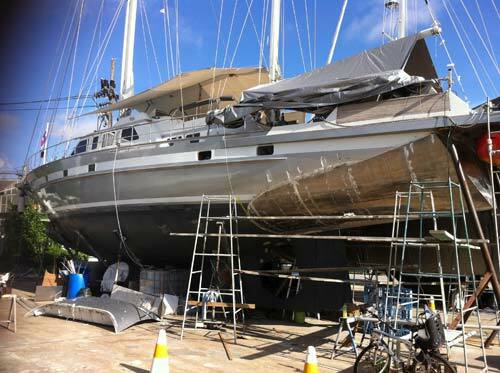 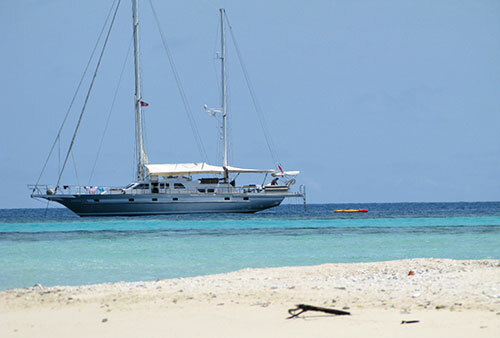 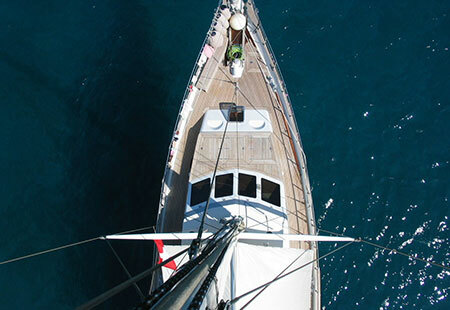 In both cases, the aluminium hull modifications were designed by naval architect Simon Jupe and all aluminium reconstruction work was performed by Luck Engineering in co-operation with Precision. 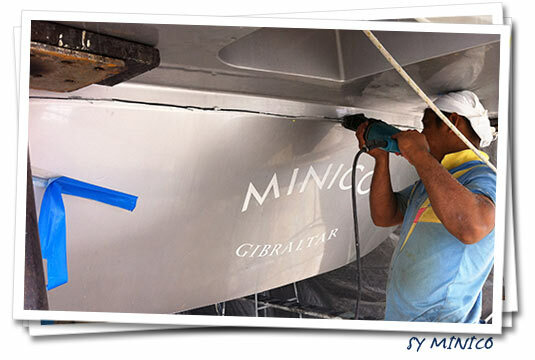 Image Gallery SY Minico: click on any thumbnail to start a slideshow.